Section your hair into three equal parts around the head. The first part would be around the crown of the head, the second would be the middle part and the last would be around the nape of your neck or the lower hairline. Like a cording to the black lines in the diagram on the right. Allow the hair in the lowest section to hang down. Spray that section lightly with water until your hair is damp, but not dripping. Put the deep conditioning treatment on your hand. 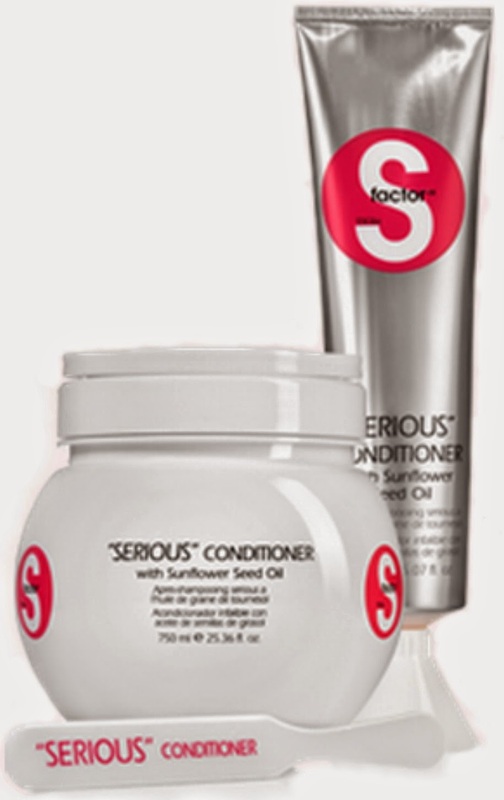 Using your hands work the conditioning treatment into the hair focusing it on the ends. Make sure it does reach the scalp too. Repeat steps 2-3 for the middle and top sections of your hair. Allow the middle section to be the "dampest" section. 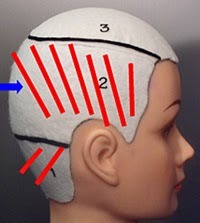 For the best results follow the red lines in the diagram above, and part into the hair when applying the conditioning treatment. Use your fingers to massage your entire scalp. Use them to stimulate blood flow in the scalp as well as to move, disperse and massage the conditioners into your scalp and around the head. Do this for about 3 minutes. Spray you hair with water until there is a small amount of drip. Use your blow dryer to add heat to the scalp through the cap. I suggest turning it on high and then moving it slowly around the head in a swirl starting at the hairline and working towards the apex of the head. Do this for about 10 minutes. Hop in the shower and rinse the conditioner out of your hair. 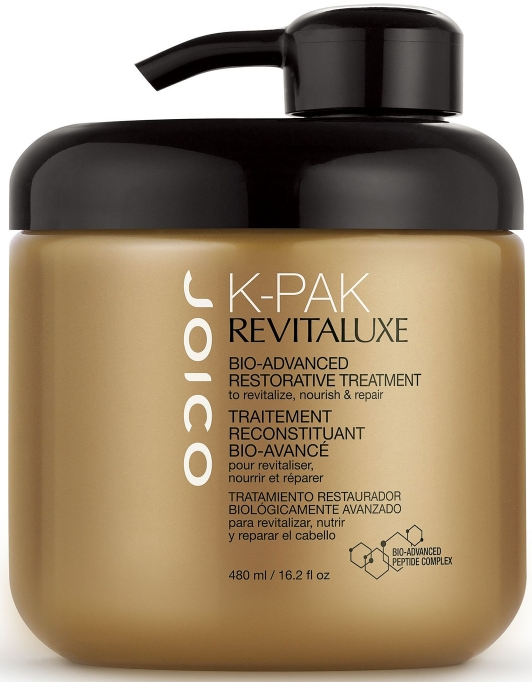 DO NOT Shampoo the hair after this treatment.